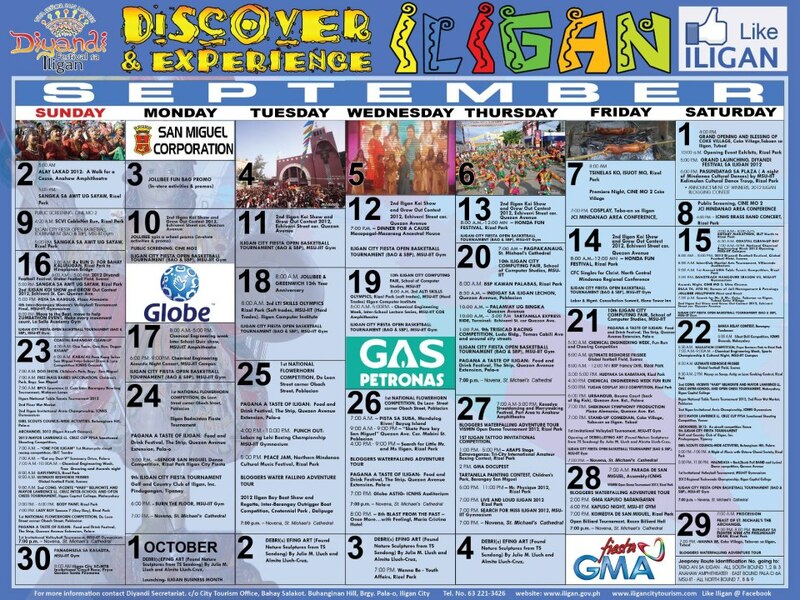 Iligan City celebrates Señor San Miguels Fiesta for a month. So here's the schedule of the month long celebration! Enjoy and see you there! For corrections and clarifications please visit the Diyandi Fan Page.